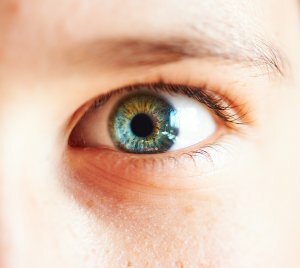 If you’re considering LASIK surgery in Chicago , you should visit an ophthalmologist with extensive experience in refractive surgery for a LASIK consultation. LASIK eye surgery can offer significant vision correction, and reduce or eliminate your need for prescription eyeglasses or contact lenses. An ophthalmologist can evaluate your vision and eye health to determine whether you are a good candidate for LASIK. The best candidates for LASIK surgery are those who are in good overall health, good eye health, and who don’t have any eye diseases or conditions. Certain eye problems can increase your risk of LASIK complications, or may prevent your eyes from healing completely. If you have poor vision that has been stable for at least one year prior to your LASIK consultation, and you are in good general health, you are a good candidate for LASIK surgery. LASIK surgery is successful in providing vision correction for severe degrees of nearsightedness, astigmatism, and moderate degrees of farsightedness. If your level of vision correction isn’t ideal after your refractive surgery, you can undergo another LASIK procedure. LASIK surgery is minimally invasive, and the procedure takes only about 30 minutes.